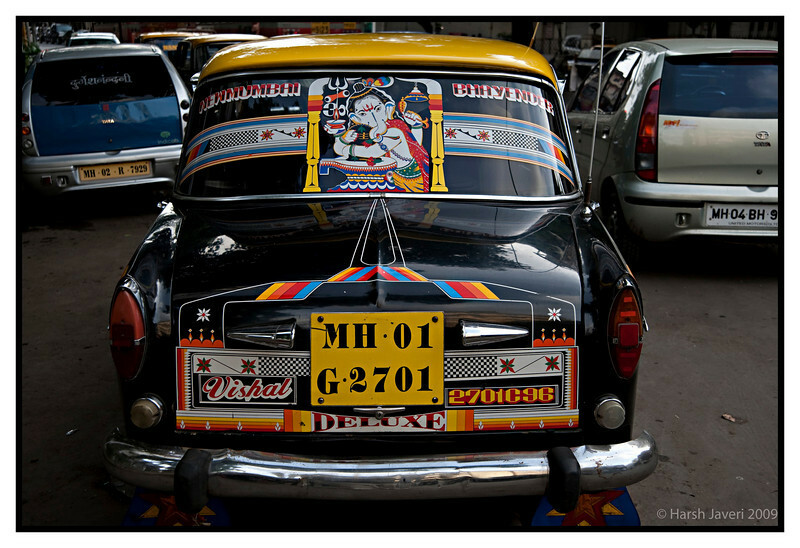 This OLD model Fiat comprised a major part of Indian cabs, but now they are being phased out. Many of them have colourful decorations & names. The names vary: Vishal here may be his son's name. Certain taxis ply long distances and here the two destinations are New Mumbai & Bhayandar. In the middle is Lord Ganesha's (considered auspicious) picture. I love this perspective and the symmetrical view of the taxi...great job and great photo!